Ladies – never underestimate the importance of accessorizing. Not only can the right accessory take an outfit from drab to fab, but it may also successfully repel a mugger. 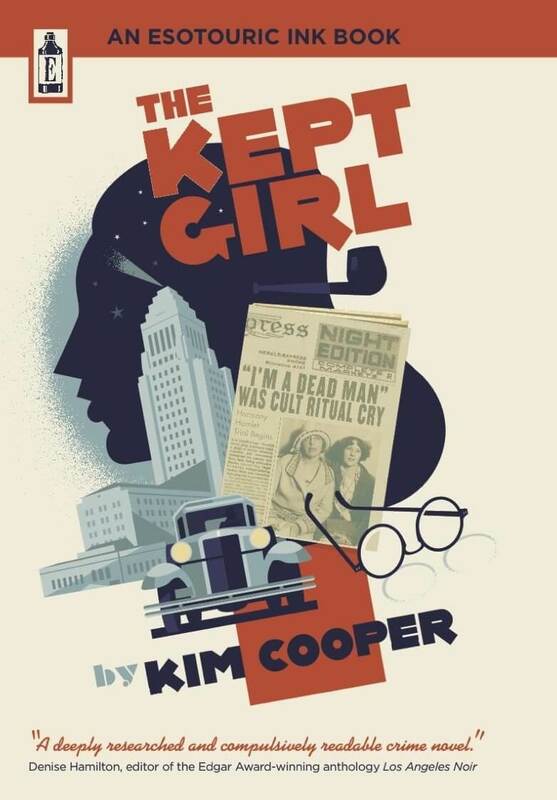 In the early 1900s the standard for female beauty was set by the fictional “Gibson Girl”. 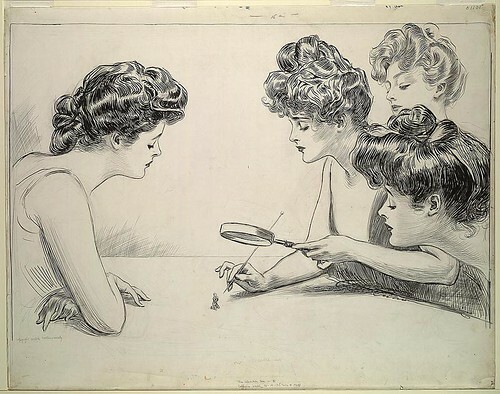 Created and popularized by the illustrator Charles Dana Gibson, the Gibson Girl was depicted as a subtle teaser of men. She was statuesque and graceful with an impossibly tiny waist. Her long hair was styled in a sophisticated cascade of curls piled high upon her head. It was a challenge to wear a hat on such big hair, so the clever Gibson Girls used hatpins which were more than a foot long. It was 11:30 pm on the evening of January 6, 1907, when Miss Florence Young and two of her actress pals were walking home from the Grand Opera House on Main Street where they had appeared in the popular play “Buster Brown” (based on the comic strip character of the same name). They’d nearly reached their lodgings at 219 South Hill Street when a highwayman leaped out from behind an embankment and demanded that the women hand over their valuables. Florence was standing behind her two friends, but as soon as she heard the bandit’s command she pulled out her hatpin, and then lunged forward and stabbed him. 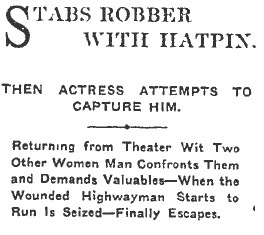 Florence grappled with the wounded outlaw and even managed to shout out “hold him girls” to her fellow thespians. The gutsy gals did their best to restrain their attacker but, even though he was wounded, he proved to be too strong for them. He wrenched himself from their grasp and hastily exited stage left.